Sam Davidson of Cool People Care shared this link today. It puts the spill into perspective. Of course, we don’t see how deep the damage is with this map. And it is our home. The ocean sustains us. I often speak about my childhood fears, one of which was nuclear war killing everyone. If I were a child now, I’m sure global warming would be a major cause of concern for me. Heck, it is as an adult. 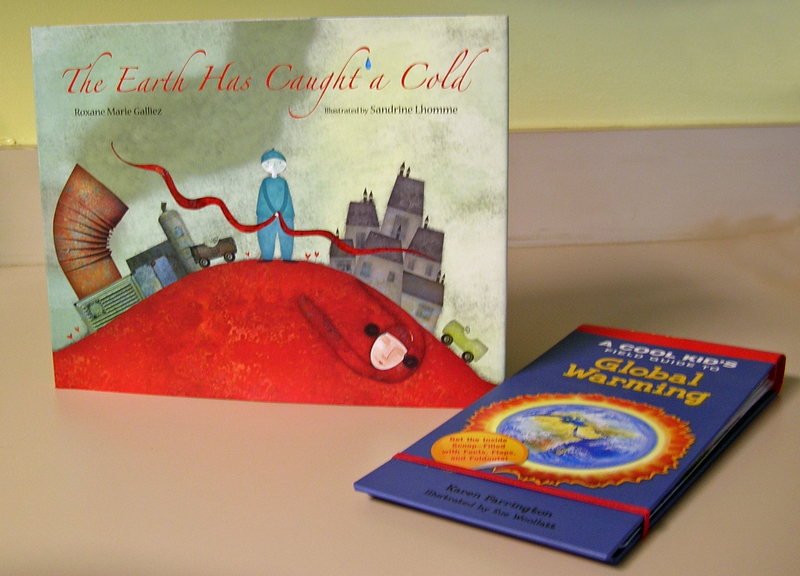 The Earth Has Caught a Cold is written to explain global warming to young children and to give hope for the future. Global warming is probably closer to pneumonia than a cold, but I appreciate the publishers desire not to scare the children. 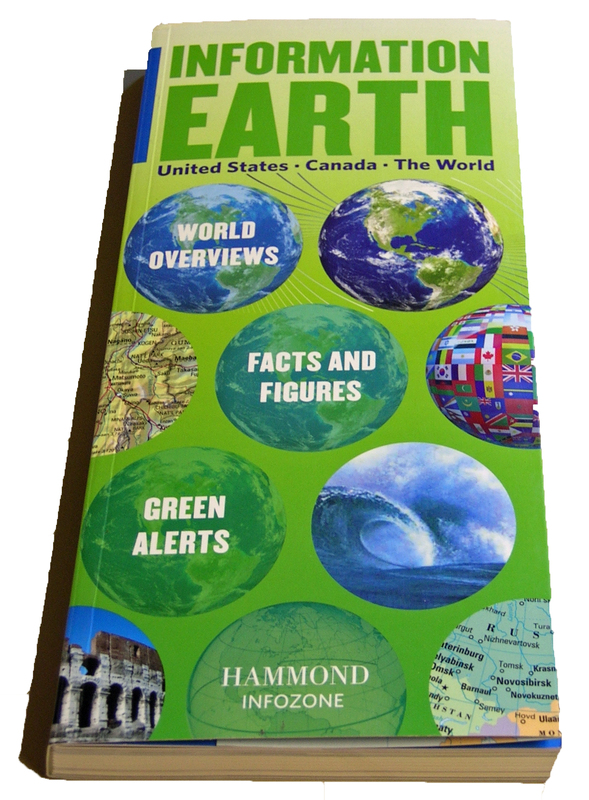 Here is a cool book, published by Hammond, filled with information about Earth as divided into the United States, Canada and the World. The book gives an overview of environmental concerns. One frightening fact is that only 3% of the water on our planet is drinkable. Has the recent travesty in the Gulf of Mexico affected our potable water? The book is divided into regions and is packed with almanac-like facts about each country and each state in the United States. I found the religious facts of each region particularly fascinating. Each area of the planet is discussed by topography, climate and natural resources. It’s a great way to spend an afternoon reading facts and figures with a green slant. The location changed due to events at LP Field. The location at the Shred-It Office should work well and be easy to access by everyone. I’m in shock about this news. Al, living in two separate households is not eco-friendly. Couldn’t you stay in the same large home? I mean after 40 years? Four children? What’s up? It is not good for the environment. Whole Foods now recycles the corks from wine bottles. I always tossed them, although I thought that they could be recycled. What about those hard plastic ones? I read this morning that 45% of litter in Ireland is cigarette wastes. If smokers would dispose of their cigarettes properly, litter would drop dramatically there.